Utah is a land of wild adventures, ancient myths and beautiful landscapes, Utah is home to five national parks whose names—Zion, Bryce Canyon, Capitol Reef, Arches and Canyonlands—only hint at their wonder and majesty. The state also boasts many national monuments, 40 state parks and 14 world-class ski resorts (11 of which are less than an hour from Salt Lake City International Airport). In addition, the state is known for destinations such as the Great Salt Lake, Monument Valley, Lake Powell and the Red Rock Golf Trail. From St. George to Park City, Utah is quickly becoming a popular retirement destination. From great low property tax to great weather, health care, and entertainment. Utah’s median yearly property tax is only $1351! Also enjoy an average home value of $250k! Information at your finger tips! 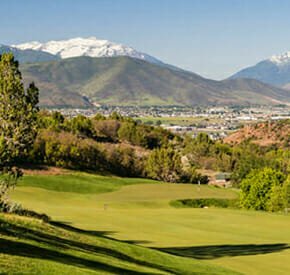 Explore Utah Gated Communities and find golf resorts, single family homes, retirement homes, golf course communities and mountains communities. Which one suites you best? Fine your ideal-LIVING communities today! Retirement property is what you’ve been waiting for. Take time to search for the private communities you care about. Request information for as many of these Utah communities as you’d like! There is no limit.